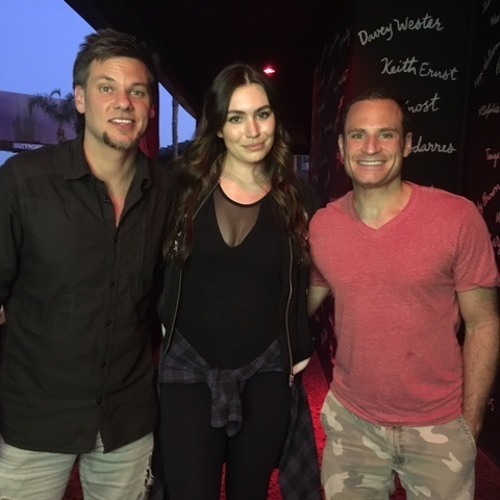 She started being featured on TV at the age of 11 on "Gene Simmons Family Jewels", but now Sophie Simmons has come into her own... singer, songwriter, actress, model and women's advocate! And the apple doesn't fall too far from the tree - at least when it comes to in your face honesty! Simmons spills all sorts of T on the podcast, calling out people like Katey Sagal, Britney Spears, and the Kardashians on their bad behavior, as well as discussing dating in Hollywood (she's single, sort of), the casting couch (she keeps screenshots, people), and what it's like being Gene and Shannon's daughter. Which host do you think she takes a shine to more?